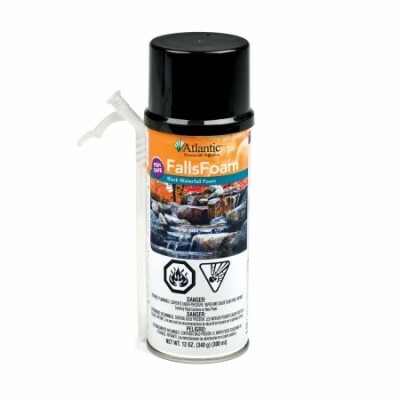 Product Code: Falls Foam® - Waterfall Foam - 12 oz. Atlantic Water Gardens Falls Foam. Each 12 oz, one time use can, comes complete with application straw. Finally an excellent foam product specifically designed for Water Gardening applications. Black bonding and sealing foam for use in pond construction. 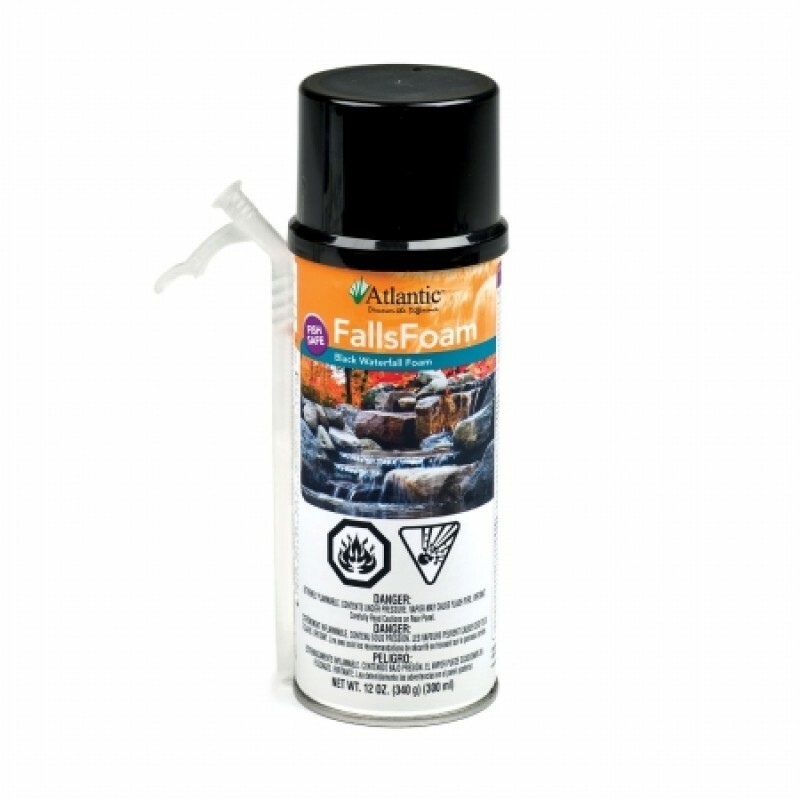 Use it on waterfalls streams,on walls above and below water level, etc. Expanding foam will bond and seal natural and artificial rocks of all kind. It dries in 20 minutes and cures in 24 hours, even to wet surfaces. This product will not adhere to Teflon, Silicone,Or Polyethylene. Yields: 1/4" bead = 1760 feet. 3/8" bead = 780 feet. 1/2" bead = 440 feet. Shake can, with trigger assembly attached, for 30 seconds. For best results use upside down (but foam can be dispensed at any angle). Fill gaps no more than 1/3 full to allow for expansion. This 12 ounce can is designed to be used all at once.